54 years of pigeon breeding. "Many words will not fill a bushel"
My name is Deer Adalbert. I was born in 1952 in Miercurea Ciuc. Miercurea Ciuc is the county town of Harghita County, and from a geographical point of view it is known as being the North Pole of the country due to the low temperatures from this region. It is located in the Ciucului Basin, surrounded by the Mountains Harghita and Ciucului. 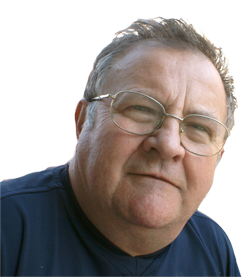 I started pigeon racing, as a sport, at the age of eight, when I got my first ringed, blue-scaled carrier pigeons from the teacher Dorgo Albert. In the year 1960, I joined the Club 039 in Miercurea Ciuc, while the president of the club was Kato Vilhelm. I never gave up on these wonderful birds. Studies: The Faculty of Mechanics of the University of Braşov. Pigeon racing is a very easy sport for those who know how to pursue it, but it can be a very difficult sport for those who are able to complicate it. The latter ones will never achieve any striking result. 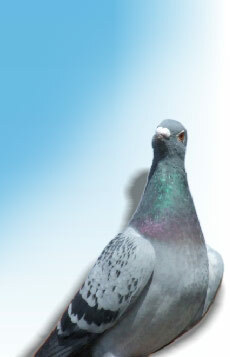 Achievements in pigeon racing: National Champion in the category Medium - distance, 1999, Cluj Napoca. I do not believe in wonders! There are no results without hard work ! It is good, if the pigeon has a pedigree, but we should not forget that pedigrees do not fly! In the west, if an animal does not have a pedigree, it has no value. The best mated with its parents, with the mother or the father, and their squab mated with the best racers. It is very simple, isn´t it? The other criteria: the colour of the eyes, the proportions of the wings, the size of the pigeons etc. are of no importance. I do not believe in specialists, fortune-tellers, experts, etc., in those who assess the value of a pigeon, if it is good or not. The only object that sorts out pigeons is the BASKET. The selection that I make is very harsh. In the first stage, the pigeons have to fly 30 km over the Harghita Mountains. I like all categories of pigeons, but most of all I like marathon pigeons. 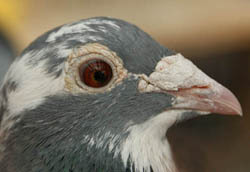 Those who possess marathon pigeons can say that they have all categories of pigeons. This affirmation is not applicable if inversed. The pigeons are treated preventively. Sick pigeons are not cured; they are liquidated, eliminated from the aviary. Preventively, pigeons are treated against worms, paramyxovirosis, trychomonosis, and nothing else. One does not have to treat pigeons against salmonellosis etc. I use honey, lemons, glucose, grape sugar, yogurt, sana, milk powder, apple vinegar, salt, sunflower oil, peanut oil and garlic. I have countless pigeon fancier friends in the country, as well as abroad. 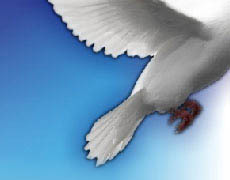 The white dove is the symbol of peace! I wish you much health and success!